Prof. Samimy: I was born in a small town in the northern part of Japan. For some reason, I always knew that I would become a teacher in some capacity. When I was in middle school, I joined girl scouts just out of curiosity. One day, we had a get-together with American girl scouts whose fathers were stationed at the American air base near my home town. Through this meeting, I became acquainted with an American girl who was kind enough to invite me to her home. Although my English was quite limited, this experience was so positive that I decided to become an English teacher then. In addition, when I was learning English in middle school, my teachers heavily relied upon either grammar translation or the audio-lingual method, and as far as I could tell, they did not speak English. Even as a student, I thought that it was fraudulent that my English teachers could not use English as a tool for communication. Later in college, I received a scholarship from the Rotary International Club to come to America to study English. Although my initial plan was to stay here only for one year, I ended up completing my B.A., MEd, and Ph.D. degrees in America. My B.A. is in English from Clarke College. I enjoyed studying American and British literature with professors who were mainly Catholic nuns. Since I went to a Catholic school in Japan, it was a comfortable environment for me to study in. When I was completing my B.A. at Clarke, I met Dr. Charles A. Curran who was a clinical psychologist at Loyola in Chicago. As some of you might recall, he was well-known for his language teaching approach, Community Language Learning (CLL) in the 70’s. He was looking for a research assistant who could teach him and his research group a less commonly taught language and assist him with his research projects. Since my first language was Japanese and I was very enthusiastic about his research, I was hired right away. I spent the next four years working for Dr. Curran at Loyola. As a clinical psychologist, he had many interesting insights into human learning. Based on Rogerian counseling or client-centered therapy, Dr. Curran developed the notion of whole-person learning which later was applied to subjects such as foreign languages, mathematics, and statistics, which were perceived to be anxiety provoking to some learners. Through my apprenticeship with Dr. Curran, I became an expert in CLL and have been applying the key principles in my teaching ever since. Due to the unexpected death of Dr. Curran, I moved to Urbana-Champaign, to pursue my Ph.D. in foreign and second language education at the University of Illinois, where I met wonderful scholars such as Professors Douglas Brown, Sandra Savignon, Braji Kachru, and Lyle Bachman. During my stay at U of I., I became interested in teaching Japanese as a foreign language, and was hired as a graduate teaching assistant. Here, I employed many strategies and insights that I had learned from Dr. Curran. 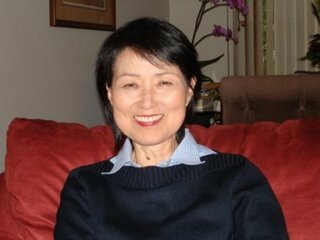 Upon the completion of my Ph.D., I was hired as a lecturer to teach Japanese at the University of California at San Diego, and a few years later, I began my career as an assistant professor in foreign and second language education at The Ohio State University. Ana Wu: You have published extensively about non-native speakers and World Englishes issues, including the very cited article “Revisiting the colonial in the postcolonial: Critical praxis for nonnative-speaking teachers in a TESOL Program,” with Prof. Brutt-Griffler (TESOL Quarterly 33(3), 413-31, 1999). As an expert, what is your definition of a native speaker? What do you think speakers will be called in the future? Prof. Samimy: First of all, I don’t feel that I am qualified to be called an expert in this area, but the issues related to nonnative speakers and the related research have a personal significance to me. The more I study this topic, the more I realize the complexity of the issue that we are faced with. I become frustrated when I learn how deep seated discrimination is against nonnative speakers of English or accented English, both in the U.S. and abroad. Every year, at OSU, our program graduates 20 or so MA students and perhaps 5-6 Ph.D. students who are mostly international students. Yet we often hear from our graduates that it is hard to compete with the native speakers in the job market, either in ESL or EFL contexts, due to linguistic or racial discrimination. In some Asian countries, I noticed that job advertisements clearly state that being a native speaker is a top priority regardless of qualifications. What is my definition of a native speaker or a nonnative speaker? What should we (NNES) call ourselves in the future? These are very tough questions to answer. Scholars in our field have written books and articles on this topic but I don’t think we have reached a consensus yet with regard to what constitutes a native speaker or a non-native speaker. Until recently, I thought that Cook’s (1999) term, “multi-competent language users” was a good alternative to avoid the binary distinction between native and nonnative speakers and thus allows identity options for NNESs. But calling ourselves “multi-competent language users” may diffuse or cover up some of the issues related to us, and furthermore, it might deprive some potential opportunities for us to openly discuss them. I believe that in order for us to empower each other, we need to look at the truths and realities surrounding us, even if it may be very painful. Only then, can we begin to talk about possible solutions. So, as Paul Matsuda eloquently argued in his article, “Proud to be a Nonnative English Speaker”, TESOL Matters, 2003), I think we should continue to call ourselves nonnative speakers until the term becomes anachronistic or obsolete. Ana Wu: You were one of the former leaders of the NNEST Caucus. As someone who has witnessed its growth and international projection, what else do you think the caucus can do to address the voices of international English teachers? How do you think the caucus could empower the nonnative professionals? Prof. Samimy: We have made quantum leaps with regard to making ourselves visible and our voices heard in the TESOL community. Yet as I mentioned before, the “native speaker superiority” myth among both native and non-native speaking TESOL professionals is still deep-seated. In order to counter this, we need to begin our efforts from the pre-service ESL/EFL teacher education program. One of the effective strategies may be to require all the TESOL programs both in ESL and EFL contexts to include readings on NNES professionals. Since at OSU NNES issues are regularly addressed in our courses, it surprises me when I learn that some of our new Ph.D. students have never heard about debates on NNES professionals. As the number of NNES professionals surpasses its native speaking counterparts, it is not unreasonable to mandate that all TESOL programs include some readings related to NNES. Research on mentoring has consistently revealed a positive impact on both mentor and mentees. Graduate students who received professional and psycho-social support from their mentors seem to achieve excellence in their future professions. I believe that providing a strong mentoring relationship is a great way of empowering NNES professionals for both pre-service and in-service teachers. In 2007 TESOL, for example, the NNES Caucus organized a panel which focused on mentoring issues related to NNES professionals. We need to continue to keep this dialogue going through our research and conference presentations to establish a strong network among ourselves. Ana Wu: In 2007, the NNEST Caucus will celebrate its 10th anniversary. In terms of non-native speakers and World Englishes issues, what topics do you think need further research? What topics (if any) can NNES professionals best contribute using their background as a resource? Prof.Samimy: Ithink George Braine has mentioned in his earlier interview with you the lack of English competency among NNES teachers. I, too, believe that improving NNES professionals’ language proficiency, particularly their oral proficiency, is an important topic for us to pursue. We need to learn and document personal histories of NNES professionals who have achieved excellent “academic” oral proficiency, as researchers (e.g. Casanave & Vandrick, 2003; Casanave & Li, 2008) have done with NNES graduate students and professionals with regards to their literacy practices and scholarly publication. In addition, in order to explore this further, we should offer a seminar which focuses on academic oral proficiency. In fact, at OSU I have offered a graduate seminar which focused on NNES’ oral proficiency in the past two years. Traditionally, issues related to NNES graduate students have been mainly under the purview or jurisdiction of ESL programs. However, in 2006 and 2007, I offered the Oral Proficiency seminar in collaboration with the Spoken English Program and the Teaching Center on campus. We designed a syllabus, making sure to integrate both theoretical and practical aspects of English oral communication for NNES graduate students including ITAs. In the seminar, the students were required to do a mock teaching and a conference presentation, and received peer feedback as well as feedback from faculty members. To summarize, as we shift our focus from “native principle” to “intelligibility principle” (Levis, 2005), NNES can become excellent role models for educating future English teachers across the world. Much research is needed in this area. Similarly, with an increasing interest in World Englishes, English as an International Language, we need to re-examine the definition of communicative competence. The oft-cited definitions of communicative competence by Hymes (1967; 1972) or Canale and Swain (1980) may no longer be appropriate for learners of English as an International Language. And as we re-define the construct of communicative competence, we will need to re-examine the pedagogical models that are based on it. Other research topics that deserve our attention are: “NNES’ willingness or unwillingness to communicate”, and “NNES teachers’ Communicative Competence vs. Communicative Confidence,” just to name a few. Ana Wu: Besides being a respectful researcher, you developed one of the first courses in NNEST issues at a North American university. Would you share any vivid memories (positive or negative) from this experience? Is this course still offered? Prof. Samimy:I feel very fortunate that my colleagues at Ohio State have been very supportive of my offering the seminar for NNES professionals. It is one of the elective courses for both MA and PhD students in our program. Since it was first offered in 1997, I have been offering it every other year or whenever it is possible. One of the nice things that came out of the seminar is that we have created a wonderful community of NNES professionals who have become deeply aware of their sense of being an agent of change vis-à-vis TESOL professional communities. It is wonderful to see that some of these students who took the seminar are now becoming the leaders of TESOL organizations nationally or internationally. I do hope that these leaders will invest their time and energy in mentoring newcomers. Perhaps one of the most memorable experiences was having the only native speaker in the NNES graduate seminar in 2002 (see TESOL Quarterly (2008), 42 (1), pp. 123-132). From this experience, I learned the importance of creating opportunities for both native and non-native speakers to experience ideological and identity conflict through which they can recognize each other as legitimate members of TESOL professional communities. Ana Wu: Thank you for this inspiring interview! This entry was posted in Uncategorized on June 10, 2008 by AWu.